This year is going to be a great one for Samsung fans. 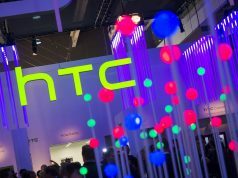 The South Korean based tech giant is planning to flood the smartphone market with lots of powerful devices that will make it difficult for the likes of Apple and Google to even compete. 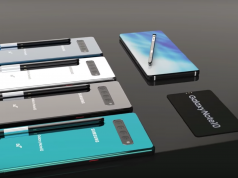 The interesting thing about Samsung’s smartphone lineup for 2019 is that Samsung is not focusing all its attention on high-end smartphones, Samsung is also looking to introduce a couple of mid-range devices with Galaxy A30 leading the way. Even though the smartphone that everyone is waiting for is Galaxy S10, Samsung is also paying the same level of attention to the mid-range Galaxy A30. 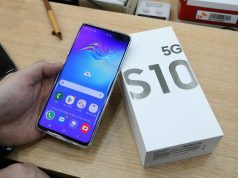 The latter is going to be the cheaper version of Galaxy S10 and it will run on Google’s latest Android 9.0 Pie operating system. Not only that, but Galaxy A30 will also deliver reliable performances and the way that we know that is because the smartphone has been spotted on GeekBench. 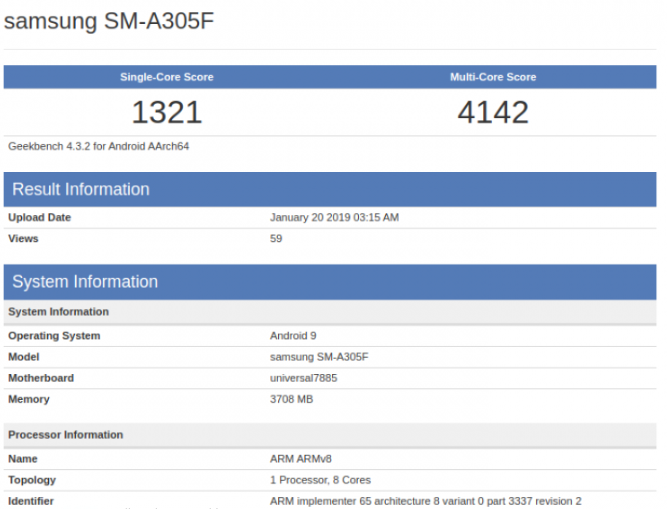 Galaxy A30 appeared on GeekBench last night and it scored 4,142 points in the multi-core test. Galaxy A30 also scored 1,321 points in the single-core test. While these results might not be too impressive, they do show us that Galaxy A30 will be a reliable smartphone that is going to feature an affordable price tag. Since we are talking about Galaxy A30’s performance, let’s check out some of the smartphone’s hardware specs that were revealed in the GeekBench listing. The listing shows that Galaxy A30 is fueled by Samsung’s in-house Exynos 7885 SoC that is paired with 4GB of RAM. 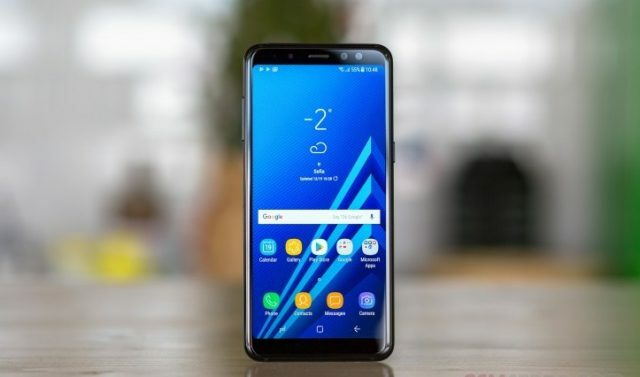 We should also note that previous leaks have shown that Samsung is planning to equip Galaxy A30 with 32GB and 64GB of internal storage space which can be expanded via a microSD card.